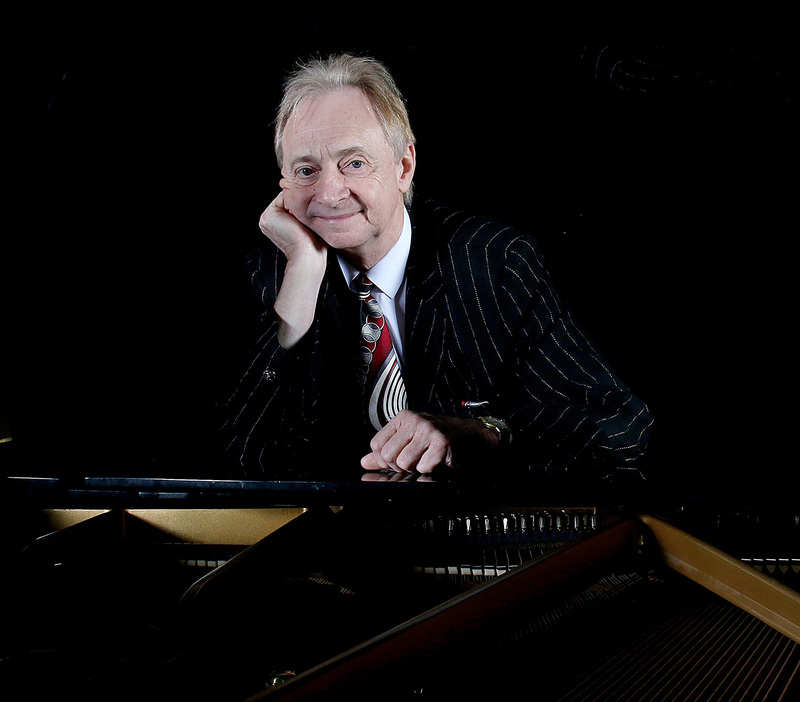 Ezra Charles has been one of the most popular piano players in Texas for over thirty years. He won the Houston Press Readers’ Poll for Best Keyboards six times, starting in 1992, most recently in 2013. In 2014 he received a Lifetime Achievement Award from the San Antonio Blues Society. His musical adventure started in his hometown of Beaumont at age 14, when he played in Johnny and the Jammers, the first band organized by the Winter brothers, Johnny and Edgar. Moving to Houston to attend Rice University, he put together his first band, Thursday’s Children, and performed in concert with some of the biggest acts of the day. One of their singles was recently named by Texas Monthly as one of the seventeen most important Sixties records from the Texas Garage Band era. While he was a graduate student at Rice, he searched for a way to amplify a real piano to create the music he loved, and created the Helpinstill Piano Pickup, using his given last name for the product. He sold his first unit to Elton John on tour in Texas, ushering in a decade of involvement in the musical instrument industry. This product is still manufactured today under the five U.S patents he was granted, and it dominates the field of piano amplification world-wide. In 1982 he turned over the reins of his company, adopted the stage name “Ezra Charles,” and formed a new band. During the next twenty years, he would go on to record ten albums of his songs, selling thousands of CD’s and enjoying airplay of several cuts on Adult Radio format stations. Famous for flashy piano antics, and all-girl horn sections, his solid songwriting carried the band through ever-evolving styles, from Rockabilly to Swing to Gulf-Coast-flavored horn-band Blues. During the NBA Championship years of the Houston Rockets, 1993-1996, Ezra Charles and the Works became their official band, playing courtside during their run-up to two world titles, much to the delight of sport fans at the games. Ezra Charles has twice represented the Houston Blues Society at the International Blues Challenge in Memphis. After winning local competitions, his band competed in the Band division in 2011, reaching the Semi-finals level. And in 2015, he and his son Jake (on drums) participated in the Solo/Duo category as the Houston representative. After establishing themselves as a familiar name at clubs and concert events all around Texas and the surrounding states during the Eighties and Nineties, The Ezra Charles Band began a series of appearances at festivals in Europe from 2008 -2014, where they were billed as Ezra Charles’ Texas Blues Band, receiving high praise from the European jazz press. In 2015, Ezra Charles announced the end of his regular band touring after thirty years, and simultaneously introduced a new one-man theatrical presentation, “The Story of Boogie Woogie.” This show enjoyed about twenty performances in concert venues around Texas, most of them to sold-out audiences. His newest “one-man” show (really a misnomer, because his son, Jake Helpinstill, a 2015 graduate of Houston’s prestigious High School for the Performing and Visual Arts, has always accompanied him on drums) is a new, similar presentation called “Piano Rock’n’Roll Legends.” Audiences continue to be delighted by his combination of keyboard artistry and humorous, witty personality on stage as he serves as a musical Ambassador to the World from his original hometown of Beaumont, his present residence in Bellaire, and his home state of Texas.